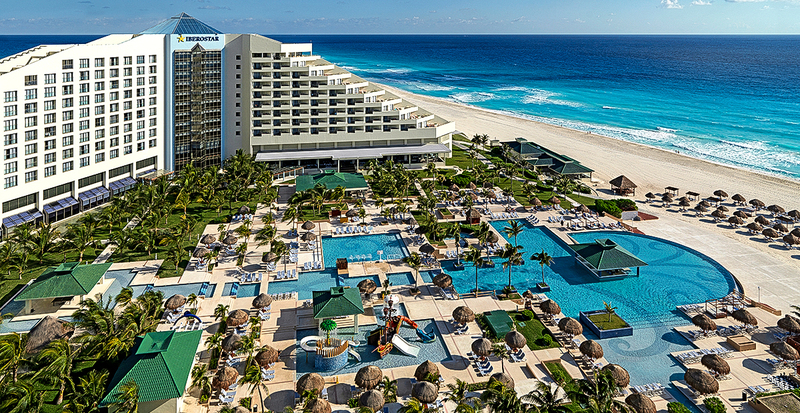 IBEROSTAR Hotels & Resorts offers some of the finest accommodations, superior hospitality and all-inclusive dining in some of the world’s most coveted coastal locations. Let us thoughtfully craft your vacation, from helping you select the best rooms for you and your loved ones to reserving exciting tours and activities nearby the property. Whether you are looking for some adventure for you and your group of close friends, longing for a romantic escape or wanting a getaway for the entire family, we’ll help you find the ideal resort on the beaches of Mexico, Jamaica and the Dominican Republic. 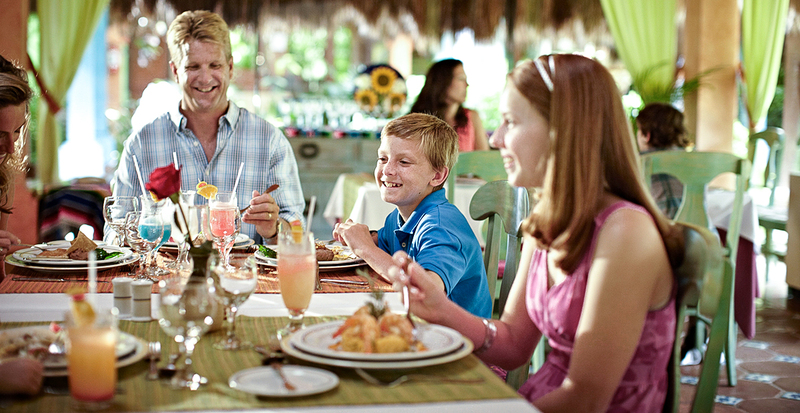 Framed by the Caribbean Sea and the Pacific Ocean, Mexico is an ideal escape for families of all ages. 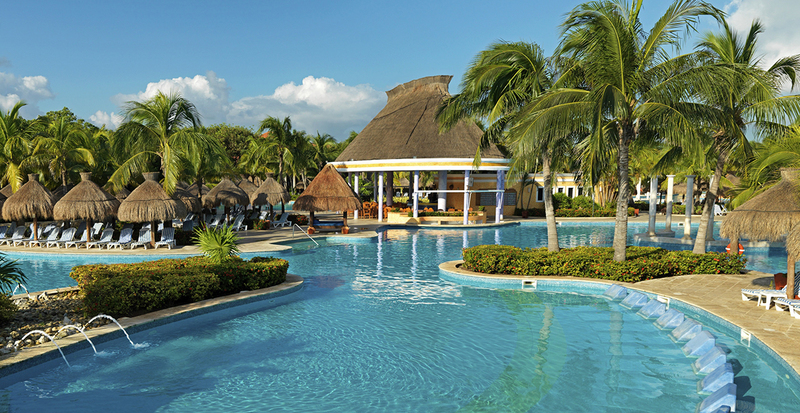 Enjoy a stress-free vacation with IBEROSTAR five-star, all-inclusive resorts that each include dedicated clubs for kids and teens, an array of dining with international buffets and specialty restaurants, evening entertainment, endless water sports and beach activities for the whole family. 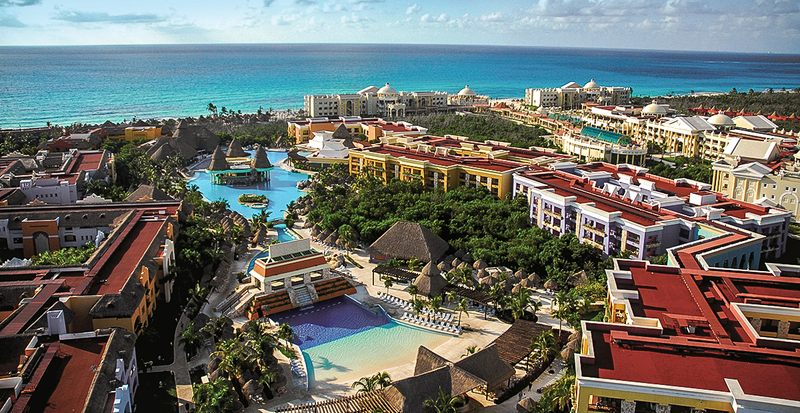 Read on for just a few of our favorite Mexico resorts. 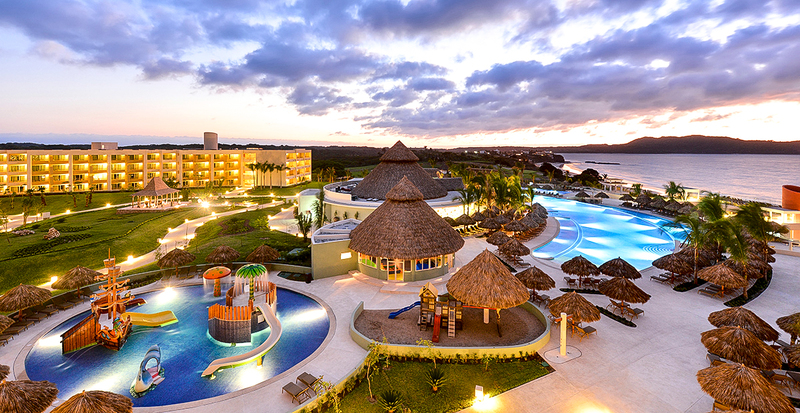 This modern, all-inclusive resort has garnered the highest awards for its exceptional quality and service. Let us help you select the ideal villa, superior room or suite to fit your needs — most with gorgeous views of the Caribbean Sea. Kids are always entertained and grown-ups have a place just for themselves at SPA Sensations and the area's only on-site 18-hole championship golf course. As a recipient of the prestigious Green Globe Ecologic Hotel Certification, this resort is nestled in a natural enclave along the Mexican Riviera and located in front of the world's second largest coral reef. The whole family will benefit from bungalow accommodations, which include hammocks and private patios that incorporate the local landscape. Enjoy easy access to the best tropical reefs in Cozumel for unforgettable snorkeling and scuba diving in the crystal-clear waters. Find your new home away from home in the former fishing village of Punta de Mita on Mexico’s Pacific coast. The Splash Park thrills young ones while the on-site 18-hole championship Litibú Golf Course caters to the grown-ups at this AAA Four Diamond resort. Among a variety of dining options, be sure to pay homage to the locale with Mexican cuisine, like aguachile, shrimp tamales and freshly caught fish on the grill. 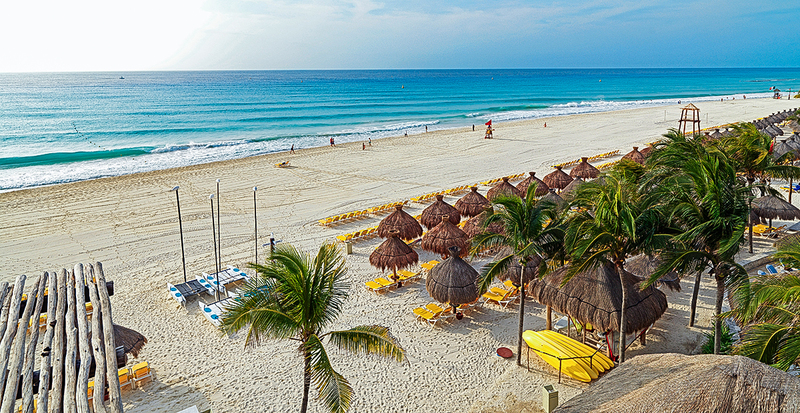 Head to the beach, between Cancún and Playa del Carmen on Mexico’s Riviera Maya. From the pyramidal lobby bar that’s an exact replica of Chichen Itza to poolside cocktails, adults can enjoy themselves while teens have fun with nightly live entertainment. 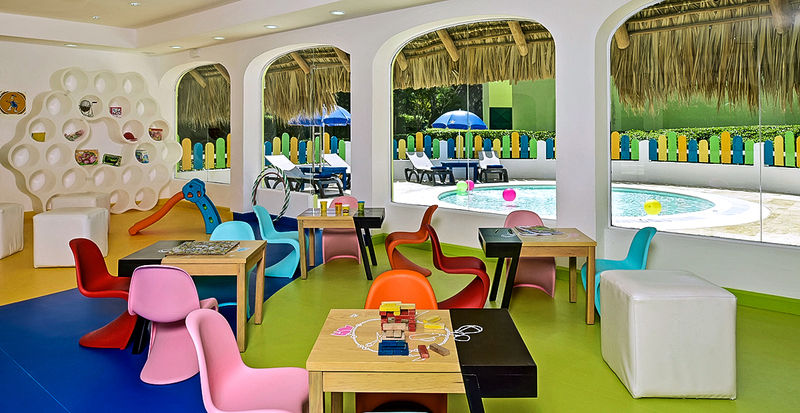 A good time is always guaranteed at the Kids Club, along with the family-friendly wave pool and lazy river. The first thing you’ll notice about this resort, also located between Cancún and Playa del Carmen, is its beautiful traditional architecture in a rich natural environment. Step into its grand lobby, which resembles an ancient monastery with touches of gold leaf, and take note of the resort’s traditional colonial style down to the smallest details. World-class golf and all-natural spa treatments are sure to be highlights of your stay. Surrounded by a natural ecosystem along the Mayan Riviera, this Green Globe-certified property has been transformed into a natural habitat where birds, monkeys and other tropical fauna and flora reside. Step onto fine white sand and into the crystal-clear waters of Playa del Carmen, unwind at your leisure at the tranquil spa and watch the hotel light up at night with exciting performances. You’ll feel like you’re a part of history as you step into this beachfront resort, where the architecture remains faithful to Mayan culture: relax among leaf roofs and stone statues depicting legendary figures. In between swimming, snorkeling and dining, this Playa del Carmen resort may also surprise you with a greeting from the local toucans, flamingoes and friendly monkeys that live on site. Marvel over furnishings that are true works of art and a lobby that’s adorned with marvelous wood carvings. 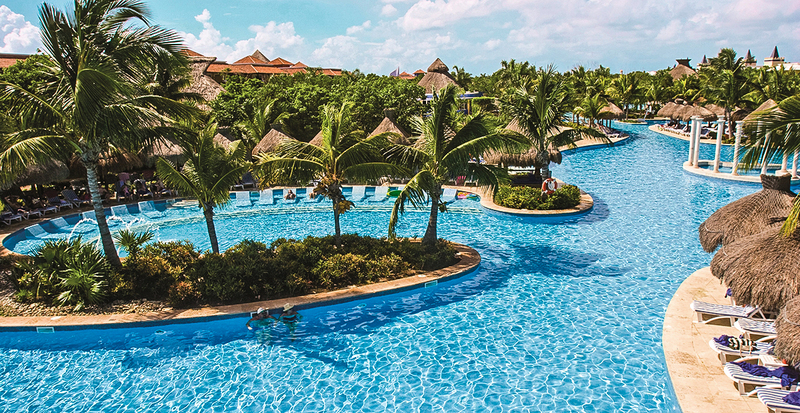 This impressive hotel boasts one of the largest pools in the entire Mayan Riviera, over 3,280 feet long, complemented by Balinese beds and palm-thatched gazebos. Delve into your outdoor surroundings where you'll find a multitude of activities, including a first-class golf course and scuba center. With its grand, impressive Mexican décor, this luxurious colonial-style resort will leave you in awe as soon as you step into the reception area. Take time to plunge into one of the largest pools in the region and hang out poolside, or enjoy complimentary beach activities on the beautiful Playa Paraíso. 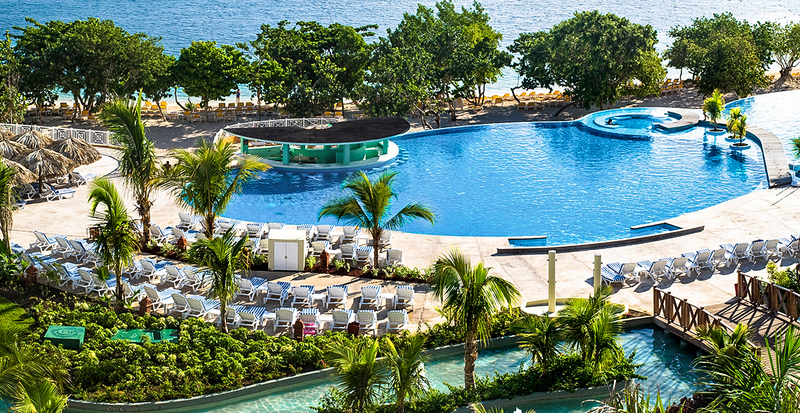 Let the beautiful shores and natural wonders of Jamaica’s Montego Bay become your personal paradise with all-inclusive dining, family beach fun and nightly entertainment. Whether you’re traveling with the whole family or seeking a romantic escape for two, this hotel is a beautiful place to escape with gorgeous beaches and gardens. The proximity to the center of Rose Hall allows you to experience traditional Jamaican life, and you’re just an hour away from iconic sights such as Dunn’s River Falls. Should you need more space for your extended family or group of friends, we’ll secure you generous accommodations — including 317 junior suites — and breathtaking sea views at this beachfront property. 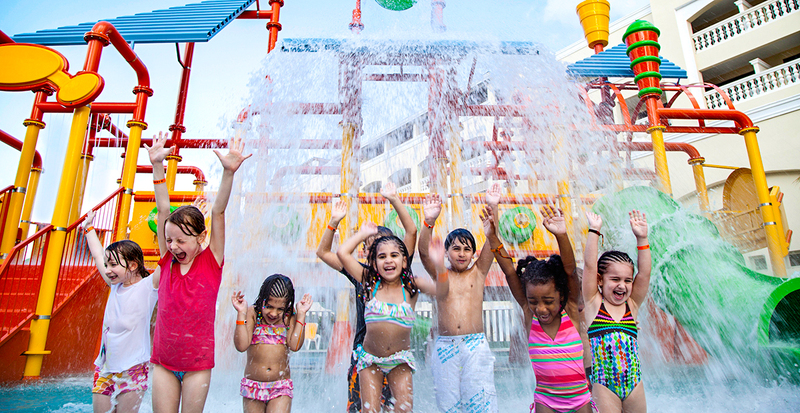 Take advantage of the Kids Club with extended hours, as well as the kid-friendly water park and a lazy river that will appeal to all ages. 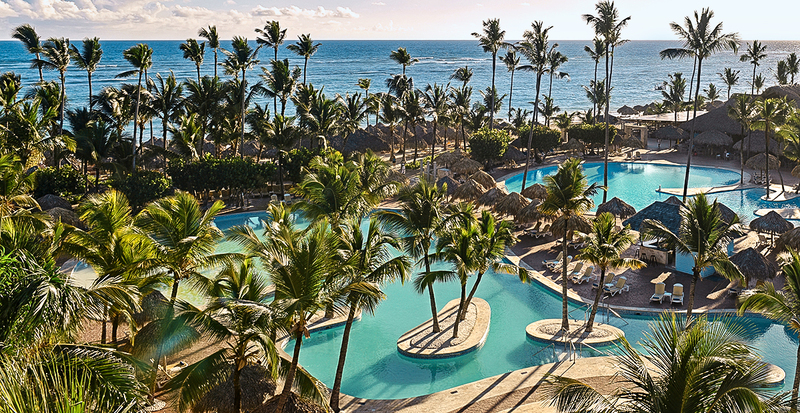 With so many white-sand beaches and charming communities to choose from, we’ll find the ideal all-inclusive resort in the Dominican Republic — all with Green Globe Certifications — to create a perfect family escape. 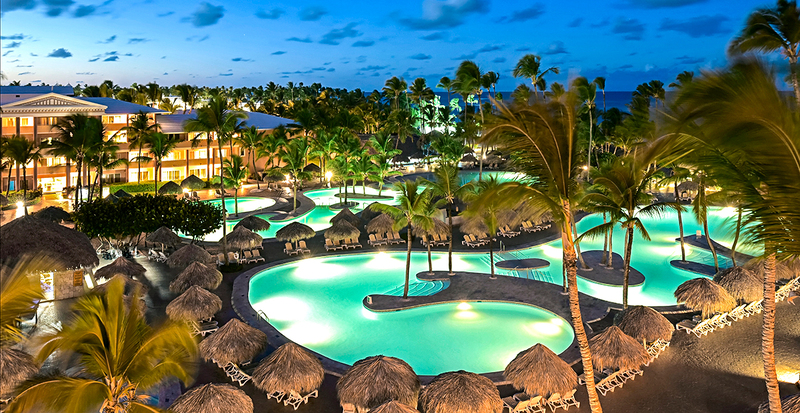 On the very eastern edge of the Dominican Republic are the blissful shores of Bavaro beach, where a luxurious 427-room hotel is designed especially for couples and for families with children. Satisfy every temptation with upscale dining, play on pristine shores and rest easy at the spa in one of its seven treatment rooms. Come evening, let the kids relax with a babysitter while you dance in the club, play in the casino or enjoy a live show. 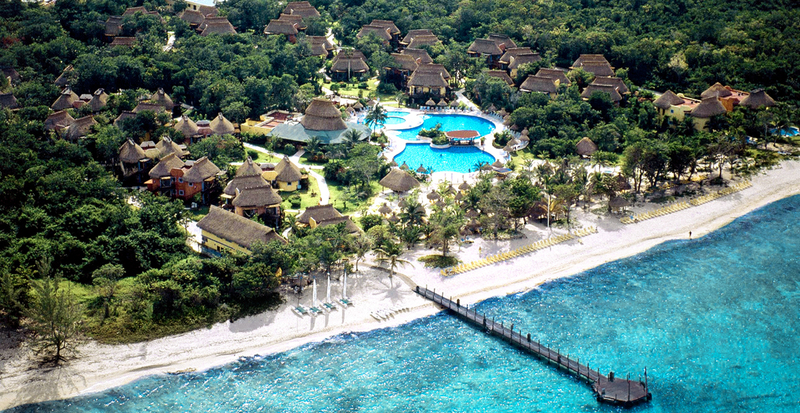 We love the picturesque village of Bayahibe on the Dominican Republic’s southeastern coast. You’ll never be bored with its wide array of curated entertainment and leisure activities, as well as a modern spa and high-quality dining. 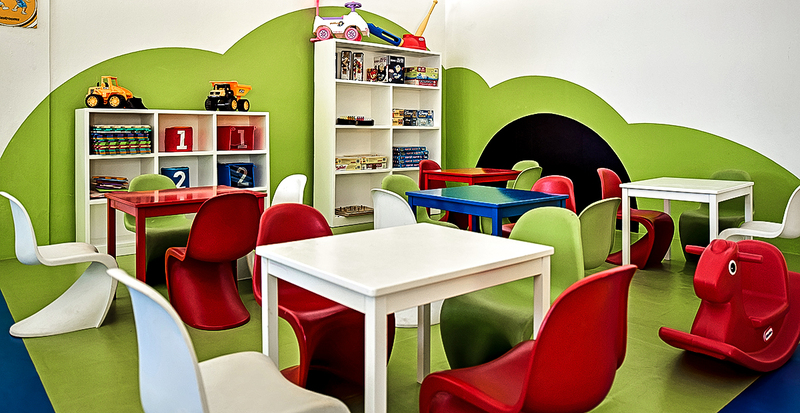 By day, children can spend hours of fun at Lucy's Kids Club; by night, adults can unwind with live performances and music. 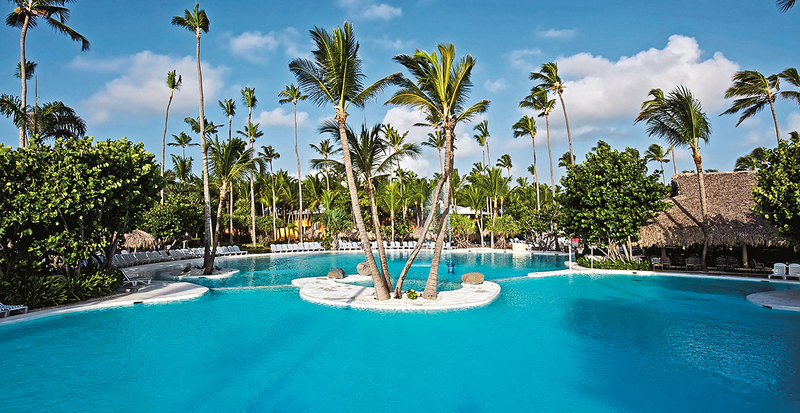 Powdery white sand, crystal-clear waters and tropical gardens are yours to explore in this Bavaro beach resort. Take advantage of a large shopping area, and indulge in all your favorite pastimes with an 18-hole golf course and a professional scuba and snorkeling center. Dining spans the spectrum from Asian and Italian to the best Dominican fare, a sports restaurant and bar, two buffets and several other restaurants. This colonial-style complex sits in front of the golden sands of Costa Dorada on the storied north coast. Enjoy all the water sports and land activities you can imagine, including diving, kayaking, playing tennis or even testing your skills at archery. Rediscover the concept of relaxation as you indulge in all-inclusive dining, spa treatments and steam baths, while kids enjoy a space all to themselves. The newly renovated, five-star all-inclusive resort is tucked away in a coveted location between lush tropical gardens and the beach. We’ll reserve your spacious bungalow suite, and you can take advantage of the 18-hole championship golf course, concierge, large shopping center, fitness center and expansive pool overlooking the beach. 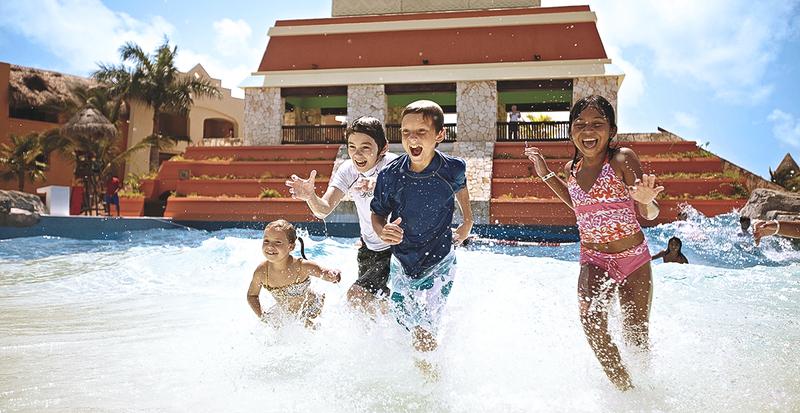 Let the kids have fun at the Mini-Club and the new water park, and reserve your evenings to dance the merengue, take in a comedy show and tempt Lady Luck at the casino. With so many incredible options for an all-inclusive beach vacation, we’re here to create the right vacation tailored to you and your loved ones.